Cook County Prosecutors have abruptly dropped all charges against Jussie Smollett, abandoning the case barely five weeks after the “Empire” actor was accused of lying to police about being the target of a racist, anti-gay attack in downtown Chicago. 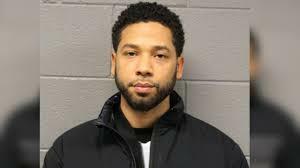 Smollett’s attorneys said his record had “been wiped clean” of the 16 felony counts related to making a false report that he was assaulted by two men. Hmmm. Obama is black, and gay, and from Chicago. I'll keep my eyes open about that. RogueLoner let him alone , you homophobic racist. Kinda sounds like a bribe, doesn't it? Take the money and let's forget the whole thing. But I guess if the prosecution suggests it first, then it's not a bribe. Yea just... bidness as usual. Corruption in the American justice system happens thousands of times a day millions of times a year. The vast majority are just business as usual. This one made the news. Big deal. So a crime was committed. Either an attack, or a fake attack. Which will be prosecuted? Looks like neither, for a measly $10,000!! A drop in a bucket to this guy. WTF??? Maybe Jussie was just fantasizing about being "assaulted" by two men. Premeditated racism is totally ok in Shitcago as long as you are the right color. No more going there either. It is sickening what is happening to this country. I wonder if any Dem city has ever gotten better when they took over. I can't think of one. Anyone? He has got a lot of friends with political pull, though. And while the charges were thrown out, and he'll not have an official record...that's really a moot point, as this will follow him regardless simply because of the press it got. Given others in Illinois convicted of similar charges got some combination of probation, fine/restitution, community service and/or counseling/mental health care, he didn't get off scott free, despite charges being dropped, as he did a small amount of community service and forfeited his bond, which was larger than the fines/restitution others had to pay. Because of who he is and the press coverage, the police put a lot of hours into the investigation...I hope the $10K goes to the PD. The real oddity here, though, is that the records of the case were sealed. There's something hidden in those files. What might it be? Over and above all that is the volatility currently evident within our society, fed by the press, pols, and celebs who seem bound and determined to incite violence...which they would immediately blame on Trump. Thankfully Chicago was in the midst of a polar vortex. Had we been in a hot spell, rather than below zero temps, this could very well have sparked a race riot. And you expected unbias treatment when it comes to a celebrity being accused of a crime? Keep dreaming.